BE they fact or fancy, countless seem the tales of romance that live on to be told over and again orally, in print, or on screens both large and small. The 12th century's teacher-philosopher Abelard and his beautiful student Eloise, Shakespeare's fanciful Romeo and Juliet, real life's Mark Antony and Cleopatra, legendary Lancelot and Guinevere… these make up but a miniscule snapshot of the romances of fame. And if ever there's another worthy of being up there with the immortals, it's from 17th century Africa, and is a tale little known about outside its homeland – a tale of extraordinary love between a white German soldier and a black slave-girl. Soldier Laurens Campher was stationed at the Dutch East India Company's Cape Town fortress known as the Castle, and one day caught sight of an attractive female slave working in the Company vegetable gardens. She had been born in the Castle to a slave, and like all others who came into the world there, had been given only one name – in her case Ansela – with the automatic "surname" Van de Caab given all Castle-born slaves, and meaning "of the Cape." For the soldier and the slave-girl it was instant love, and soon they were meeting secretly at night in the Castle's squalid slave quarters. But despite his love, Laurens Campher longed to be a farmer not a soldier, and in 1685 convinced authorities to grant him a farming block at the foot of the fertile Simonsberg Mountain – a long 64km away. Unable to simply forget Ansela, Campher repeatedly sought permission to marry her, but was constantly rebuffed with the withering official excuse that she was "a heathen slave." But rather than give up on his love, the extraordinary Laurens regularly trekked the 64km from his farm back to the Castle to spend time with Ansela, an arduous 3-day return walk he undertook monthly – sometimes more – for fourteen long years, fathering three children, Cornelius, Agenetjie and Jacoba to her in that time. And bizarrely in 1695 an influential, church-going white woman in Cape Town heard the gossip of the soldier and the slave-girl, bought Ansela from the Castle for her own household… and helped orchestrate her baptism into the Lutheran Church, which meant that as a now-Christian she could be freed as a slave and thus able to marry Laurens. The wedding took place in June of 1699, Laurens delightedly making his last 64km trek back to the farm – that he'd called De Driesprong – with his wife and children, now aged 9, 5 and three. Laurens had himself already built them a simple yet sizable stone home, and next to this Ansela planted an oak tree on her arrival to bless their marriage – that oak and the old house still standing there to this day. 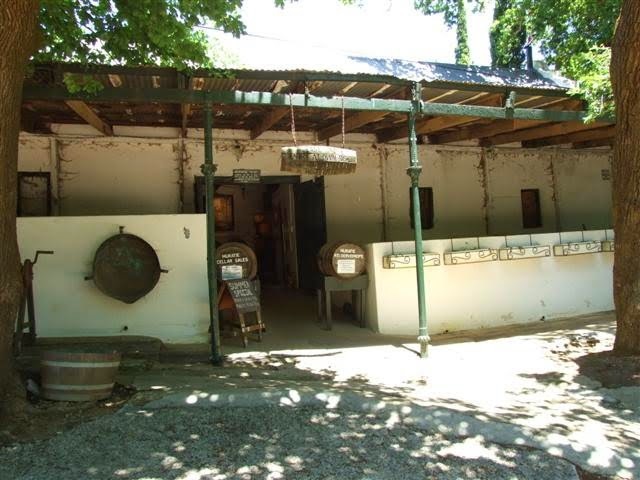 The Campher family was the first to plant wine grapes in the Stellenbosch area, and after Laurens died in 1729 Ansela and their son Cornelius continued to run the farm for five more years, producing some 600 litres of wine a year and other produce, before finally selling out. In the 1760s a Martin Melck bought the farm for his daughter, Anna Catharina (Beyers) and it remained in the Melck-Beyers family for over a century, after which it had several owners including for a short time from 1909 the colourful society hostess Lady Alice Sarah Stanford to whom every event was reason enough for a party – and therefore putting Lauren's vineyards and winery to exceptionally good use. Eventually the farm was given-up on and fell into disrepair, until artist George Paul Canitz and his wife, while horse-riding in 1926, took a wrong turn and found themselves confronting the old farm's tragic-looking manor house. Canitz pictured it not as a ruin but as something of tranquillity, and bought and re-named it Muratie from the Dutch murasie meaning "ruin." 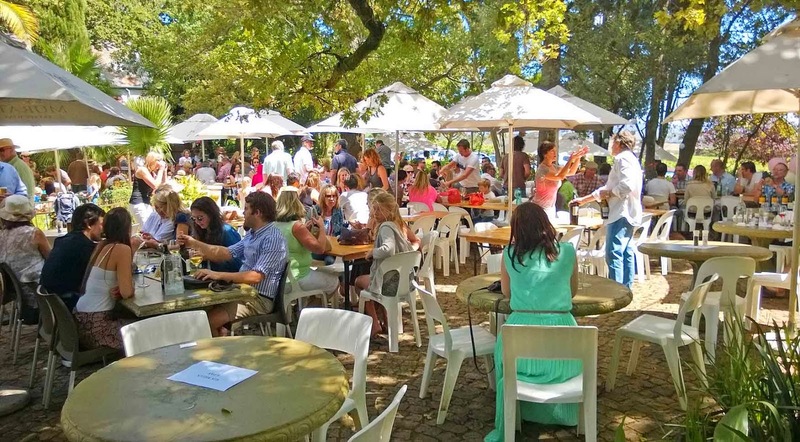 The family lived there for 32 years – daughter Annemarie ultimately inheriting it and becoming one of the first-ever female vineyard owners in South Africa. And remarkably in 1987 the wheel turned an amazing 360-degrees with Muratie going back into the hands of the Melck family some 150 years after they'd walked-off it – and with the most extraordinary results. 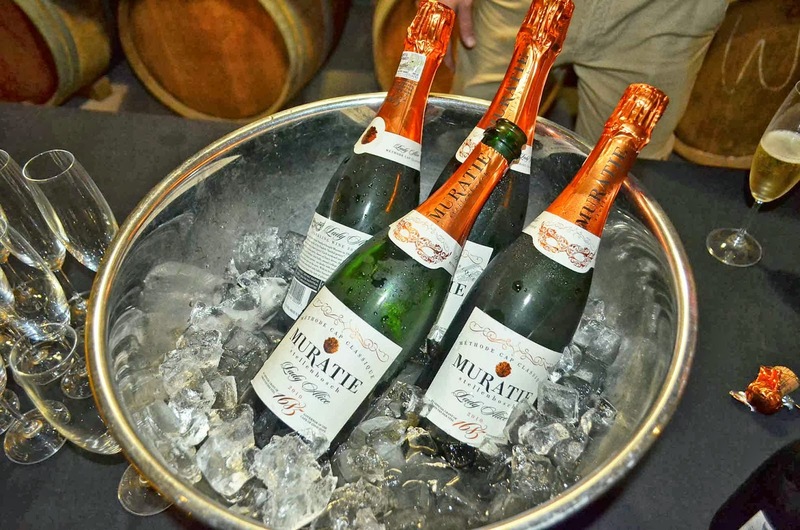 NEXT WEEK: The rise and rise of Muratie Wine Estate. THE house that Laurens Campher built himself for his beloved Ansela. INSIDE today's Tasting Room at Muratie Estate Wines. THE Tasting Room as seen from the outside. BIG crowd for lunch at Muratie during Harvest Season festivities. BUBBLY drop to help celebrate – Lady Alice would be pleased. 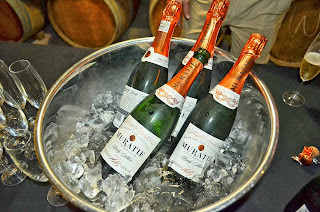 SOME of Muratie Wine Estate's many delightful reds and whites.